This quick-start class gives new course builders a path to early wins and solid course idea validation. Everything is here for designing either a mini course or a “beta” version of your course that you can pre sell before creating. 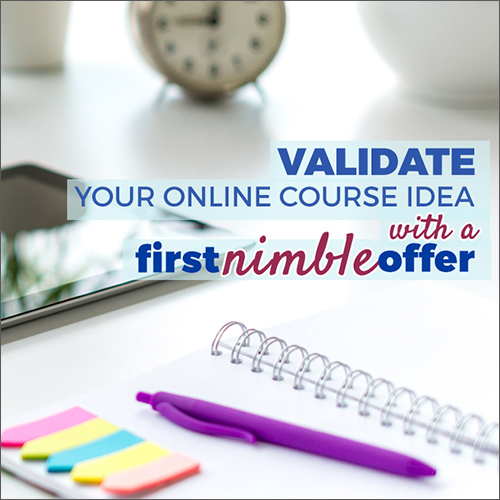 Your nimble (i.e., speedy) course design and creation are followed by nimble sales and delivery systems that let you offer a course WITHOUT a full blown classroom. There’s even a “soft” launch process you can use to avoid lengthy and expensive full-blown launch process (which will come later . . . AFTER you’ve validated and brought in first earnings). 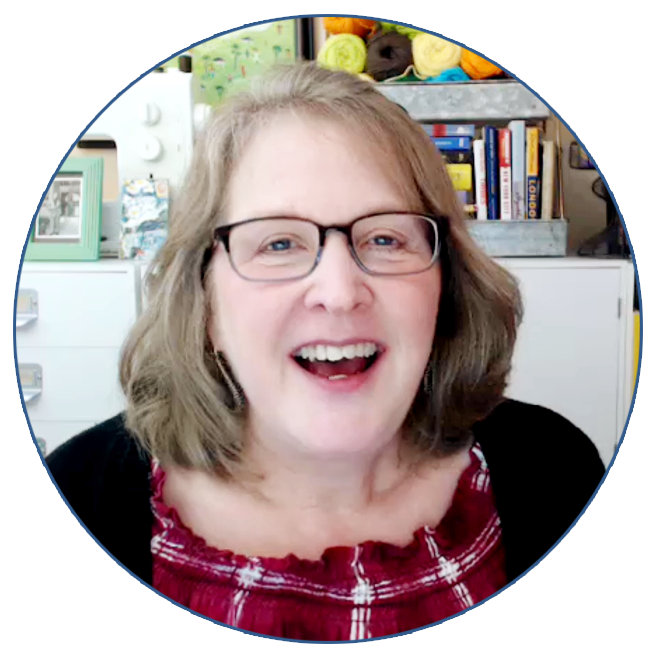 Choose between making either a mini course or pre-sold beta program and use the step-by-step how-tos for designing this offer so that it introduces students to your teaching while letting you build authority and learn exactly how to refine this course for a future full launch. Use nimble sales and delivery platforms for this first offer. This isn’t the time to build out a full-blown classroom or use pricey shopping cart tools. Instead, see how to use an ecommerce tool to accept payment and get this class to your students. Implement a six-step soft launch process to develop a small and deeply-engaged audience with “red-carpet” content, then make an offer so that you’re enrolling first students. and I’ve run online teaching businesses since 2007, creating and selling over 100 crafty and technical courses. I’ve been in love with “explaining things” since my first extra-credit report in elementary school. Mix that with my passion for creative endeavors (writing, photography, scrapbooking, web design) plus an MBA, and it makes perfect sense that online teaching is my perfect gig. I’d love to work with you on your own online teaching business.